Faster, more accurate note counting. 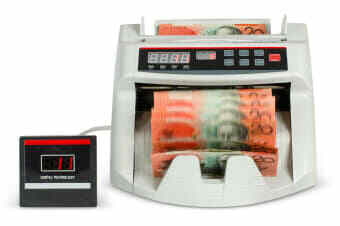 A safe, quick and accurate way for businesses to count and manage bank notes. 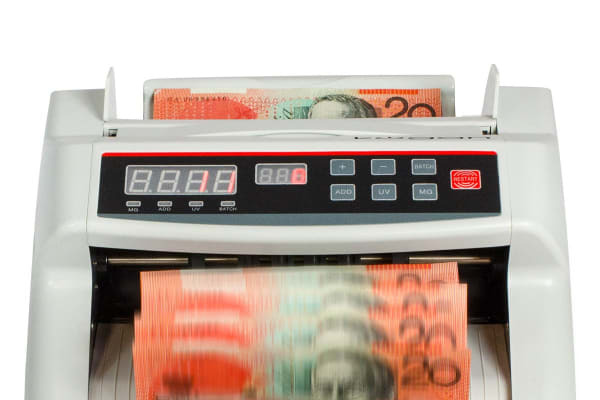 While all businesses would love to see money flowing in, counting and managing bank notes has many pitfalls that can spell disaster! Avoid the hassle and the worry by getting the Kogan Note Counter. With an impressive counting speed of 1000 notes per minute and flawless accuracy, this machine not only eliminates any chance of human error, it also helps in boosting your productivity. It takes away the mundane but important task of counting and sorting money from your busy hands and lets you deal with tasks which require more of a human interaction. 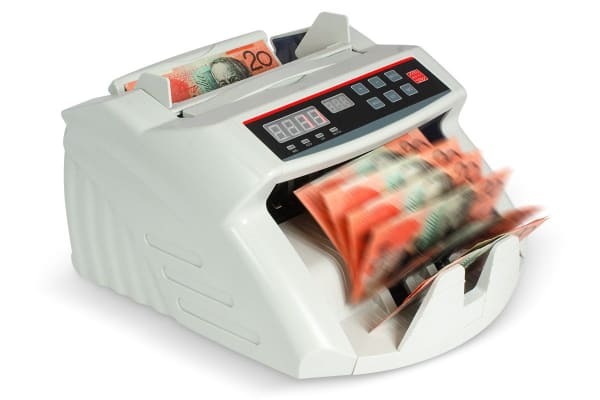 This Note Counter is a must have for your business as it not only counts notes but also has Automatic ultraviolet (UV) detection that can tell the difference between real notes and fake ones. Any counterfeit notes that find their way to the counter get filtered out as do notes that have an abnormal shape or size.